2018 was an abysmal year for me in terms of spinning. For whatever reason I just didn't feel like doing it, so I didn't. At some point I started to feel a lot of guilt for owning so many spining tools and not using them, and for having a sizeable fiber stash that wasn't going anywhere. At least I was pretty good and didn't buy much fiber at all last year. I bought 1 batt at Rhinebeck and I think I received a few bumps of fiber as gifts, but that's it. So in 2019 I made a personal pledge to spin 15 minutes a day for as long as I could keep it up. I know it's not an original idea but I like that I am making time for spinning without having it take over my life. and even if it takes me months to spin one braid of fiber, it's still an improvement over last year. 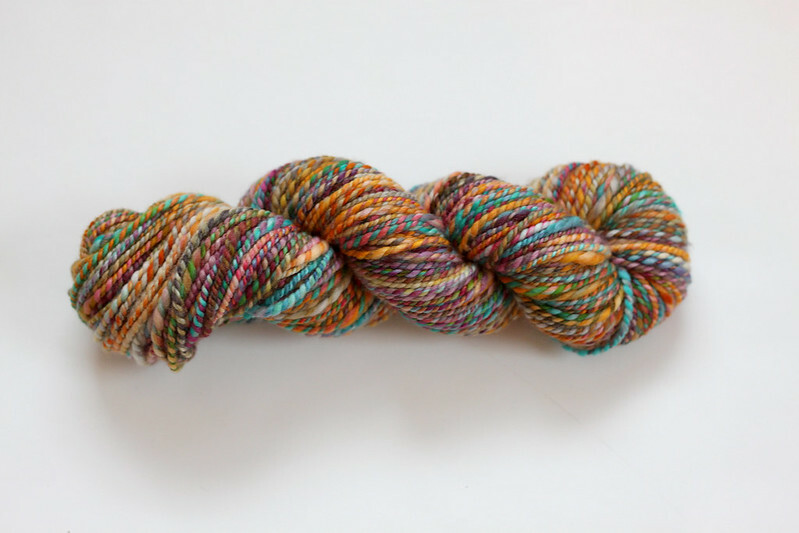 I started with this gorgeous superwash merino "Main Squeeze" from Wound Up Fiber Arts. I've been making a point to start spinning up those fibers that I've been hoarding and setting aside because they are too lovely to spin, because honestly what's the point of having it if I'm never going to use it? Originally I was hoping for a chunky to bulky weight 2ply but I ended up with an aran weight. This is quite a normal issue for me. 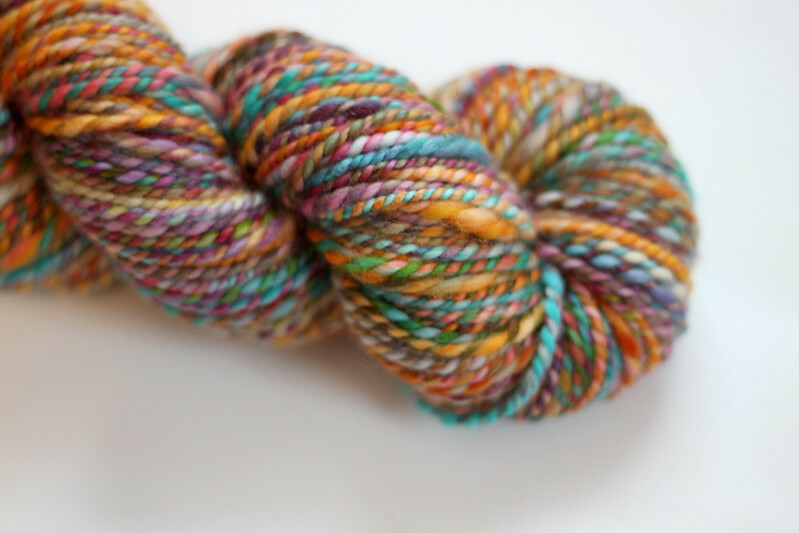 Someday I will be able to spin chunkier yarns but this wasn't the one. I didn't do anything special with the original braid. I just split it in half and spun each half end to end without further splitting. I used a short-forward draft and soaked and snapped to finish. The entire skein was spun on my Majacraft Rose, which is my favorite wheel by far. I ended up with 135 yards / 116g and I've already cast-on for some thick cozy convertible mitts. I can't wait to finish them so I can show you how the yarn knit up.